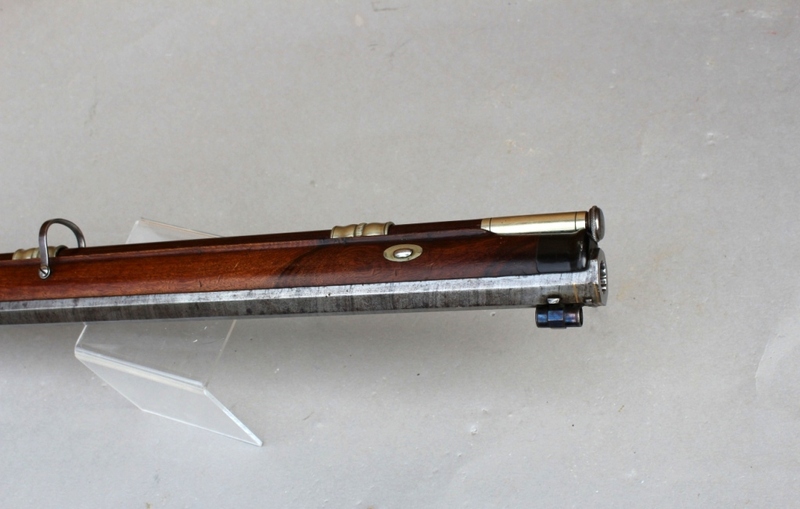 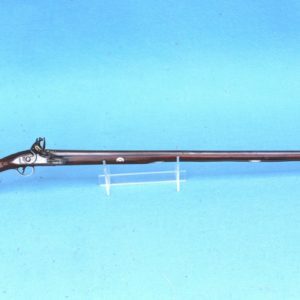 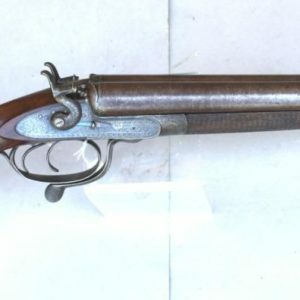 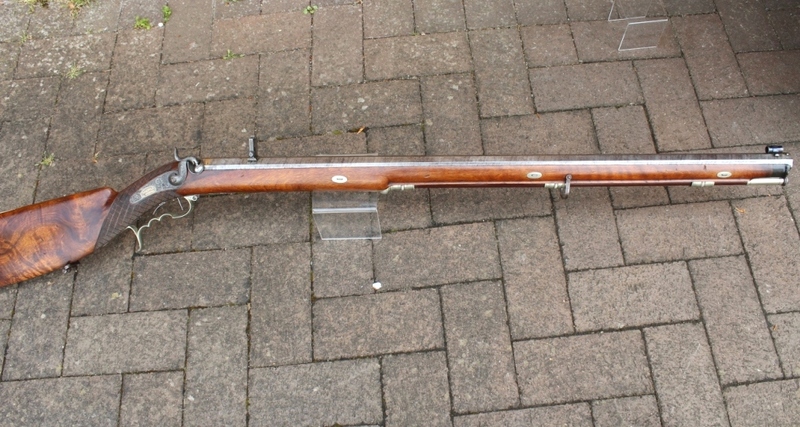 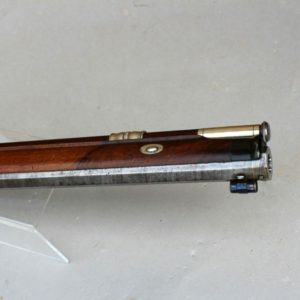 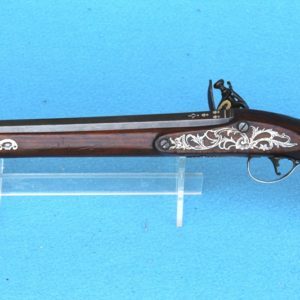 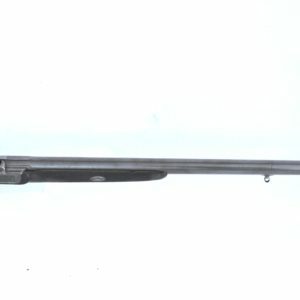 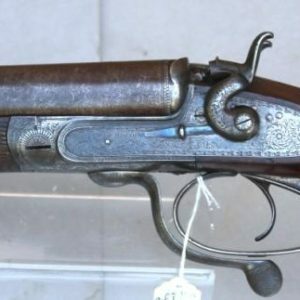 An approximately 14mm calibre Swiss Percussion Match Rifle by R Aeppli à Soleure circa 1840. 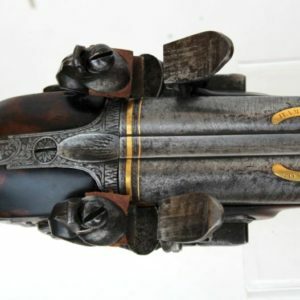 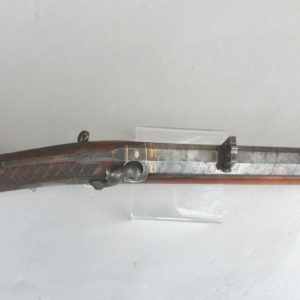 Furniture with German silver mounts hair and set trigger, carved stock with cheek piece to left hand side; back action lock with one securing screw and name of maker inlaid in gold to the plate. 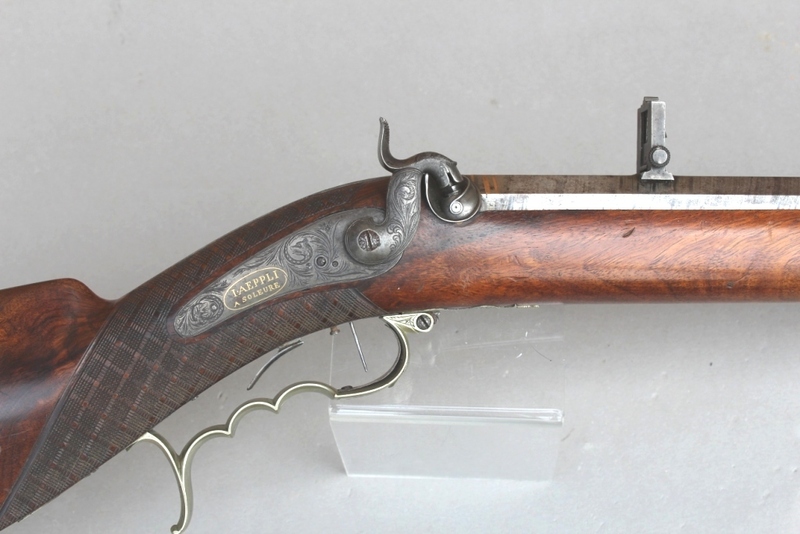 Heavy octagonal barrel with gold lines at the breech and makers stamp inset in platinum. 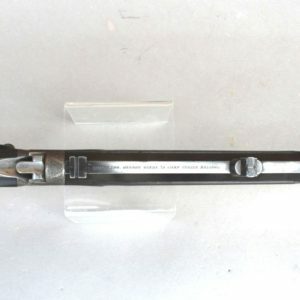 Hooded foresight and aperture backsight with pendulum level. 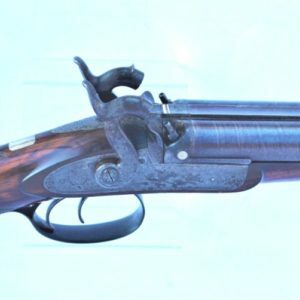 The barrel is heavily multigroove rifled. 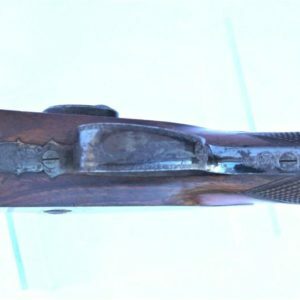 Presentation inscription in an oval to the left side of the stock reads “Ehrengabe Des Hoh. 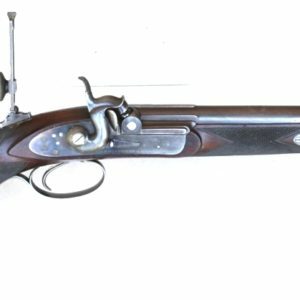 Standes Solothurn, am Eidgenössischen Freischiessen in Solothurn 1840”. 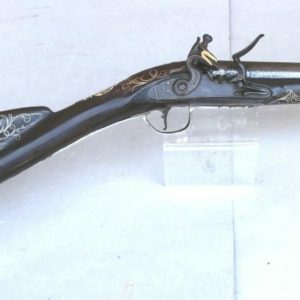 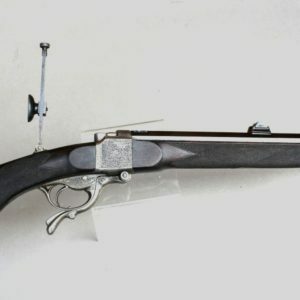 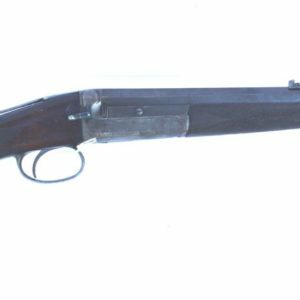 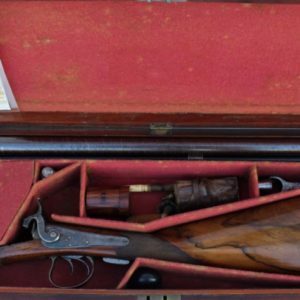 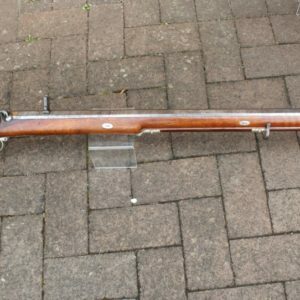 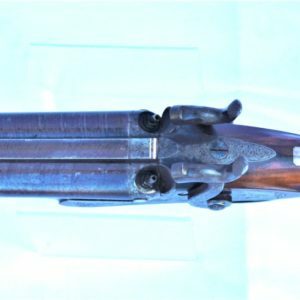 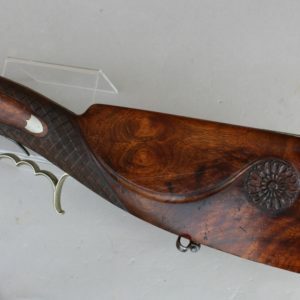 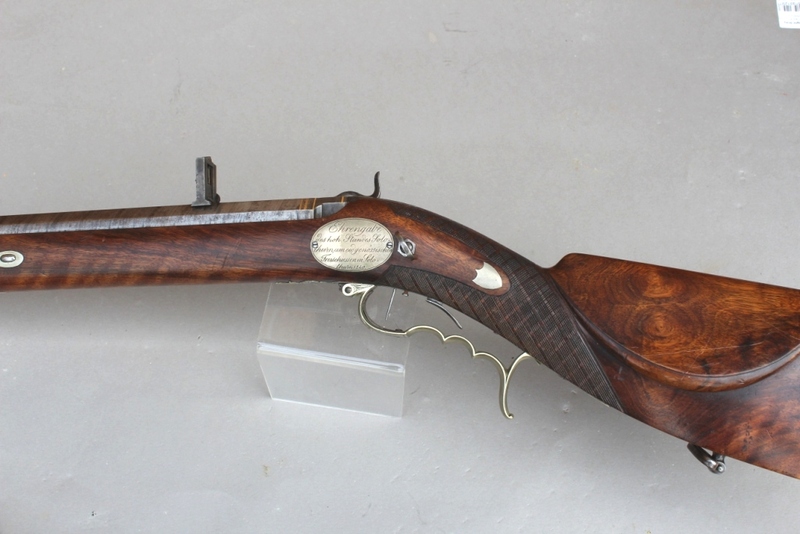 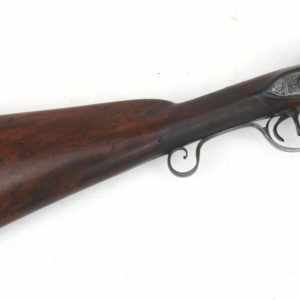 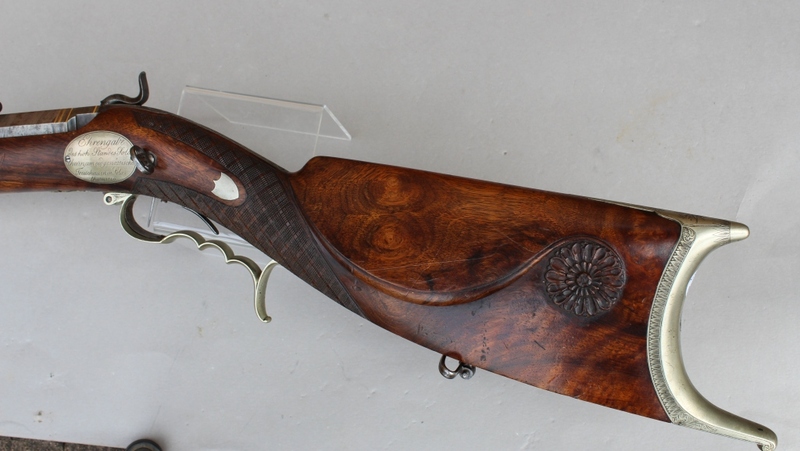 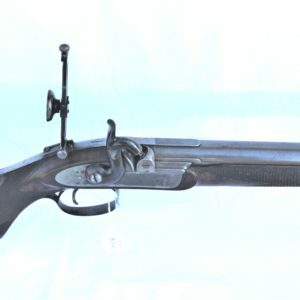 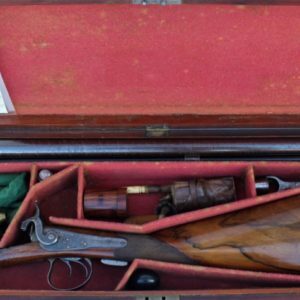 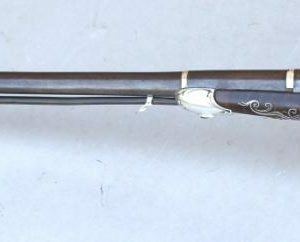 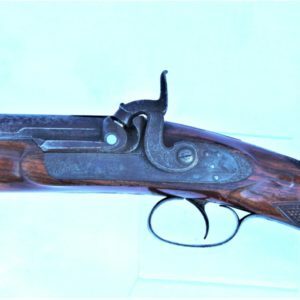 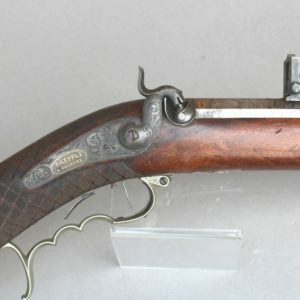 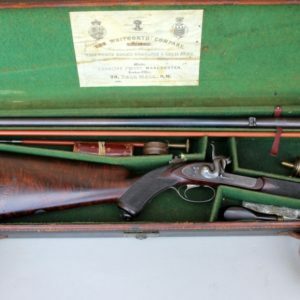 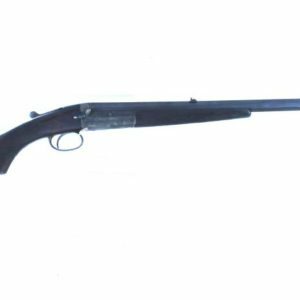 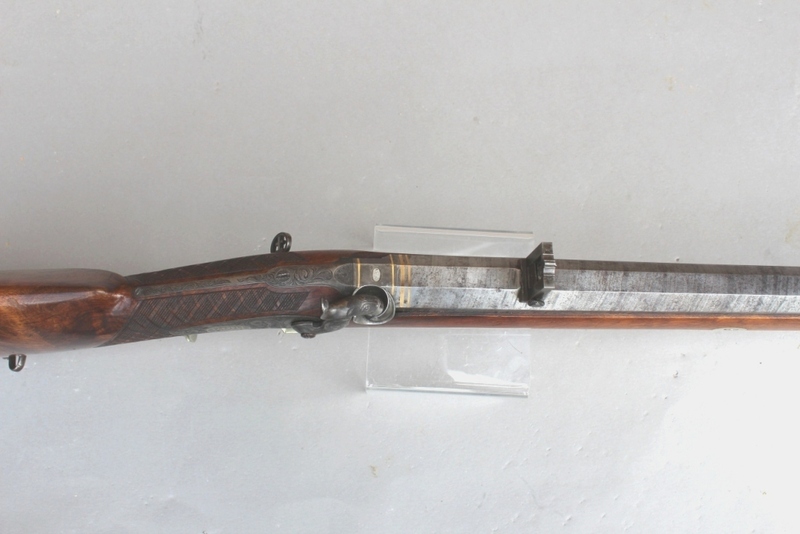 Condition: The barrel is twist with considerable original colour and crispness throughout, bore is fine, the German silver mounts and steel mounts are engraved with little wear. 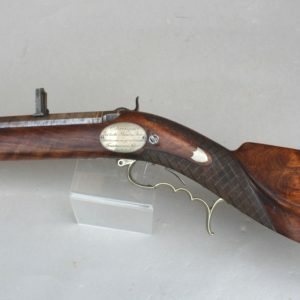 The full stock is in fine condition throughout with few abrasions, the engraving and carving is crisp.